We drove a lot on this expedition! We started in Whitehorse, driving all the way up North to Inuvik on the Dempster Highway and then further on to Tuktoyaktuk at the Arctic Ocean, altogether 1500 km… and back. 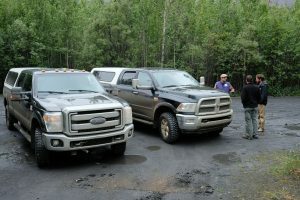 At our arrival in Whitehorse, we could pick up our two huge pick-up trucks, a Dodge Ram and a Ford F350 Super Duty, with four-wheel drive and big aggressive tires. Just coming from Germany and its discussion about diesel cars and driving restrictions, I wondered, what does one need such a huge car for?? During our expedition and driving on the different types of road however, I came to learn the advantages of such cars, with all their special features. My favorite one was the heated steering wheel. Both trucks are what is referred to as extended cabs, which means that they have four doors and a front and back seat. The inside was very spacious and had more than enough room for four or five people. Depending on the driver and their skill, there was a tradeoff between reaching our respective destination and bumping the passengers and equipment. Luckily, only once did the tailgate (back door) jump open and we lost a bag somewhere on the highway. It was found later though, and made for a good story. 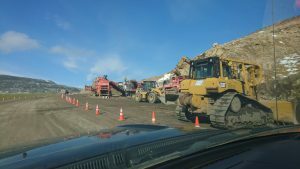 Both the construction of the Dempster Highway between Dawson and Inuvik and the Inuvik – Tuktoyaktuk Highway (ITH) have been very costly and difficult. 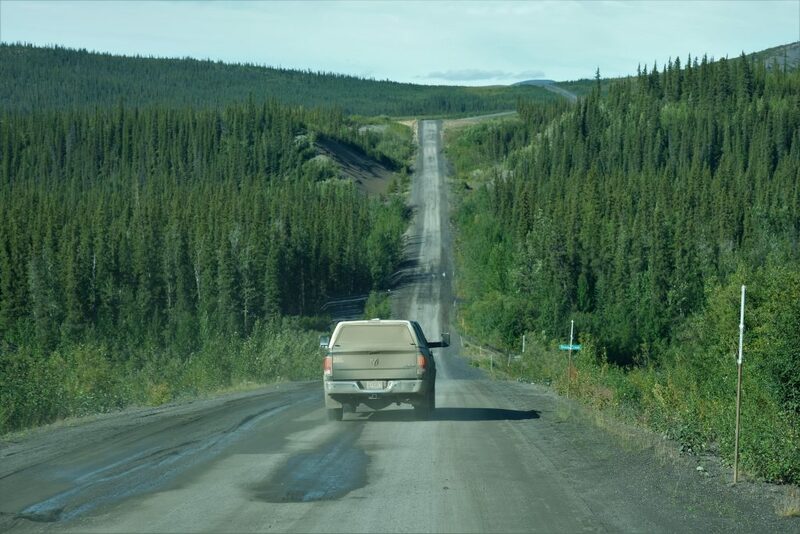 The ITH is a two-lane gravel highway and the first all-weather road to Canada’s Arctic Coast. Its 137 kilometers took 4 years to build and cost CAD $300 million. 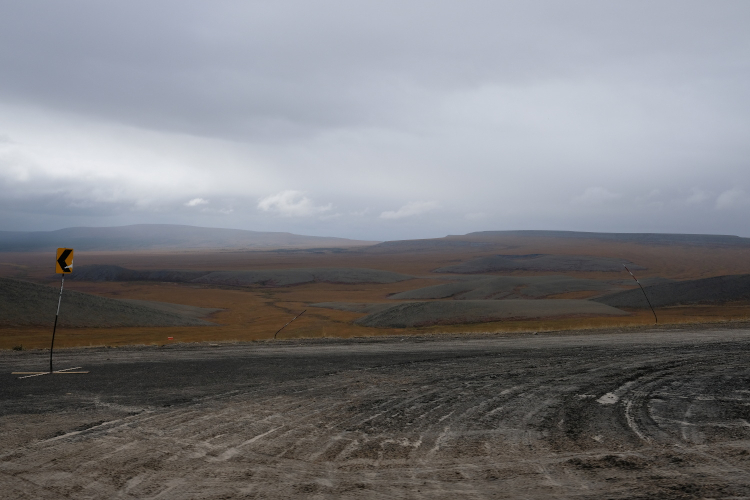 As the ground mostly consists of permafrost, the road needs to be built 2 to 3 meters above the ground to avoid thawing of the sometimes ice-rich permafrost below. Thus, lots of gravel has to be piled up. It has to withstand temperatures that tip below -40°C as well as hit 20°C on summer nights when the sun never sets. There were many quarries along the road, connected via small lanes for the huge trucks carrying gravel. 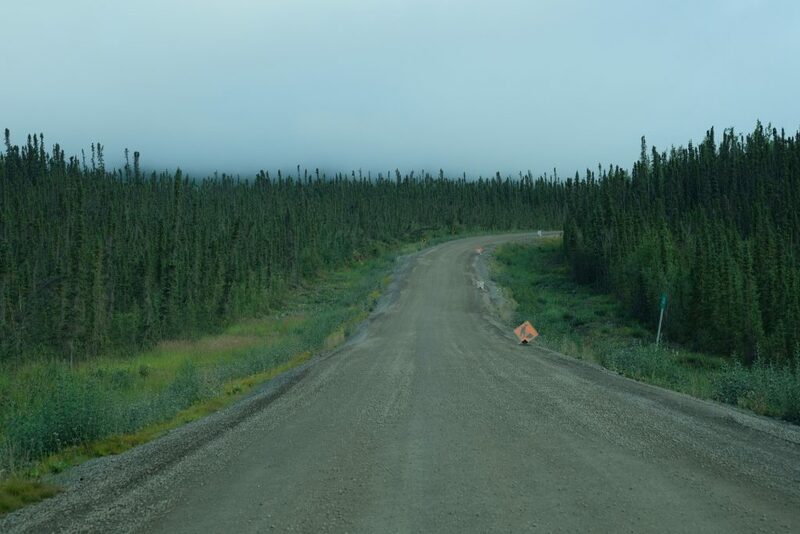 Construction along the ITH is ongoing and there seems to be a clear relationship between areas where the road is not built up very high above the tundra and the condition of the road (it’s bad!). 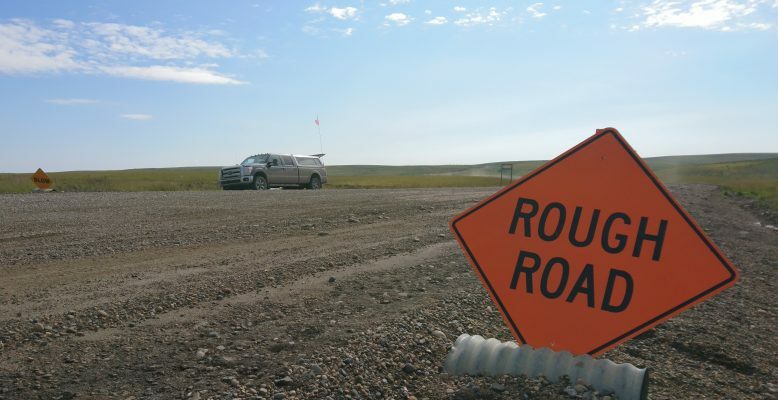 Along the road, different “Road construction departments” are in charge of road maintenance, such as grading during the summer to smooth out the washboard and potholes and removing the snow during the winter. Interestingly, it seemed to be mostly women driving the excavators and graders. 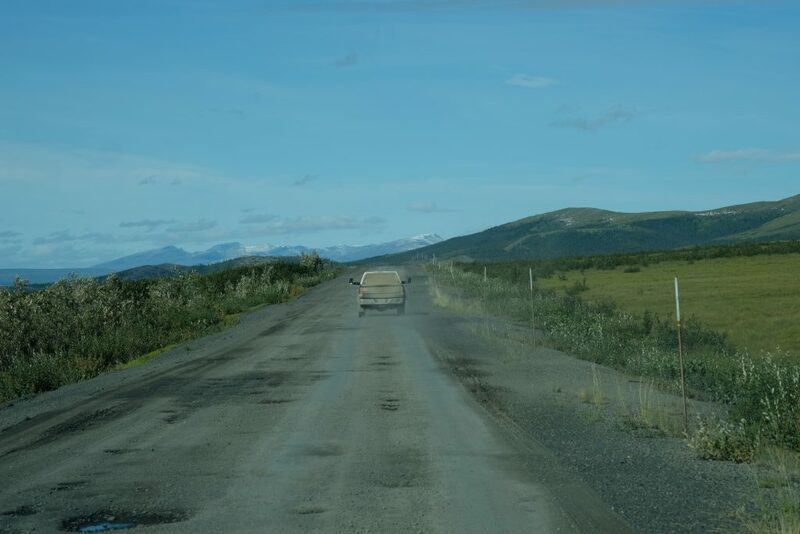 The traffic on the Inuvik – Tuktoyaktuk Highway consisted of locals with the necessary trucks, campers in different sizes and forms, some motorcycles and even bicycles!! The more north we went, the less “normal” cars were on the road. In Tuktoyaktuk itself, many locals also had quads to drive the whole family around in town. After returning safely to Whitehorse, without needing either of our 2 spare tires and no damage to windshield, I have to admit, these trucks are fun to drive and necessary under such harsh driving conditions.